At this moment we all have to look at the South and Then look at the West. 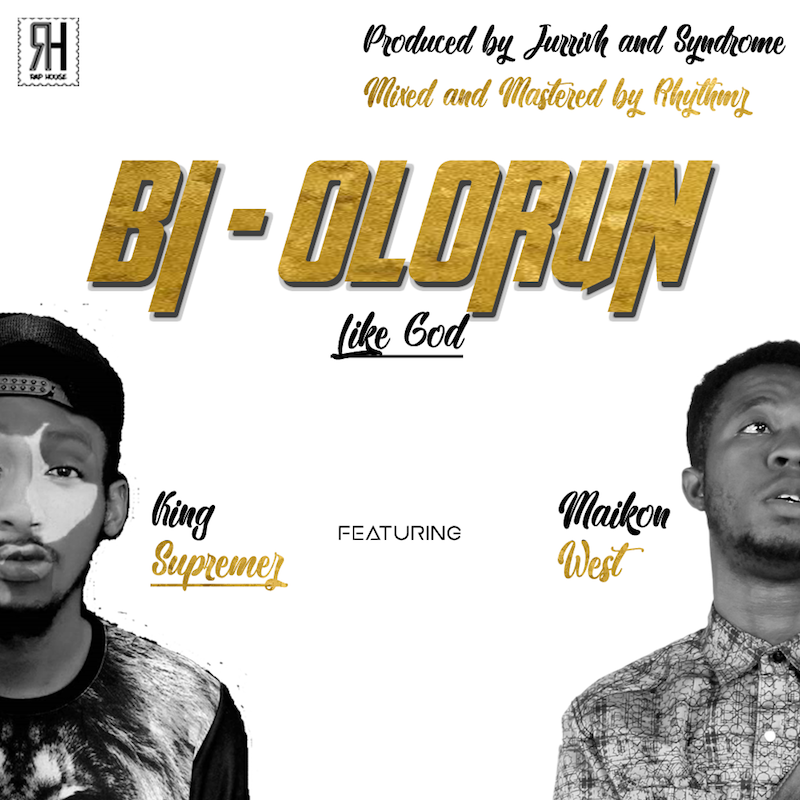 From The "SMOKE" Crooner , KINGSUPREMEZ assisted by the king of the "NEW CITY", MAIKON WEST comes a new tune titled BI OLORUN. BI OLORUN is a Yoruba word that means GODLY or LIKE GOD. Let the music play, enjoy the Ride. Use the link below to cop yours now and don't forget to share with your friends using the social media buttons below. KINGSUPREMEZ is a Nigerian Rapper. [Real Name - Egedegbe Ernest]. He was born in DELTA STATE on July 5, 1994 and is also known as Supremez / RapHouse. He began writing and performing in 2010 winning an AWARD at PTI RCCG MUSIC COMPETITION at age 16 and started recording music in 2012 . Later in 2012 , he was introduced to the music of christian rapper: LECRAE and everything about his music changed. More songs from rappers like GEMSTONES, ANDY MINEO, TRIP LEE, KB, DA' TRUTH and others. He started music professionally with the stage name KINGSUPREMEZ in 2014. Later In 2014 he was pre-nominated at MEGA AWARD for his song SALVATION in the UPCOMING, in 2015 he was also nominated in the SCEPTERS AWARD for his song TRIUMPH.